Uplifting of all is a matter of high priority. Uplift your soul first, which is confined in the country of Satan and facing miseries. 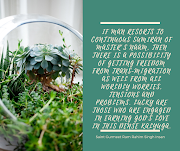 For this, meditate upon God’s words, so that the soul may be freed from the clutches of transmigration. Continuous recitation of God’s words, while walking, moving or working for the business. Depart from this world after completing the assigned job. Sermons by respected Hazur Pita Saint Gurmeet Ram Rahim Singh Ji Insan. 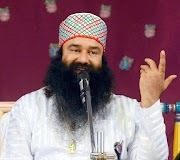 Revered Guru Ji Baba Ram Rahim Ji says that there are many people who do not recite the Name of the Lord and many are those who do meditation regularly. Those who are under the grace of the Master, enjoy the happiness of both the worlds while living in this mortal world. The grace of Master is described by saints in Sat Sang. Meditation on God’s words needs to be undertaken for gaining his grace. If you do not meditate then you cannot gain his kindness-blessings. Those who become worthy of grace-boons of the Master, never earn the enmity with anyone, because they possess universal selfless love for all in their hearts and prayers for the welfare of all in their minds and hearts. If the man becomes good to this extent then God belongs to him along with obtaining the charms of both the worlds. His Holiness Baba Ram Rahim Ji said that mutual friendship-comradeship develops when thoughts are unanimous. Allah, Ram, Waheguru will be his friend who becomes like this. Master will become a friend of that person too, who shuns all these evils. But changing oneself is not an easy matter. Man becomes a slave of his habits. Mind goes on pumping him and those cannot be shunned. Only those can change their bad habits who are courageous, warriors and fighters. How cowards will transform themselves? Any person boasting that nobody can change him is the most coward person, because those who possess dignity, moral courage, can only transform themselves. Those claiming that the whole of the world has changed except me, are really haughty. It is a mean act of mind which has turned you as a coward. There is nothing in it to boast about. It is a transformation if a pebble turns into a diamond. What is the big thing if pebble remains pebble? 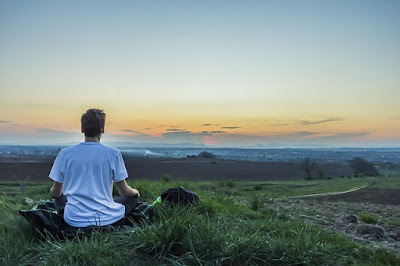 A pebble can become diamond, if he follows the advice of Saints, performs meditation-recitation and social service, then the transformation is guaranteed, otherwise not. 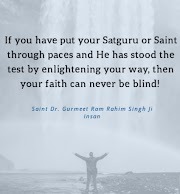 You can change your way of thinking by the recitation of Naam of the Master simply while walking-moving and demanding Master from the Master and acting nobly you will surely succeed in earning the kindness-graces of the Master, exhorts Baba Ram Rahim.